Vaisakhi NagarKirtan (parade) is not about free food. Period. I am tired of hearing the phrase "free food" in some media coverage without giving a context to it. Yes, the food is served free of cost but the 'why' is bigger than the price tag. Vaisakhi is traditionally celebrated as harvest festival in India. The festival is celebrated as the start of a New Year, throughout the country, under different names and with different local traditions. In the northern state of Punjab, which most of the Sikhs call home, it is called Vaisakhi. For Sikhs, the festival holds a significant meaning: it is on Vaisakhi day in 1699, the tenth Sikh guru, Guru Gobind Singh established the Khalsa (the pure ones) and laid down a code of conduct for the Sikhs. So the festival of Vaisakhi is celebrated as the birthday of Khalsa by Sikhs worldwide. The faith, which was founded by the first Sikh guru, Guru Nanak Dev, predates Vaisakhi. A Nagar Kirtan, commonly referred to as a parade, usually marks the day of the celebrations. Nagar Kirtan differs from a traditional parade in the sense it has a religious and sacred meaning attached to it. The Punjabi word, nagar denotes town, and kirtan means singing of religious hymns. So Nagar Kirtan literally means going around the town singing sacred hymns. 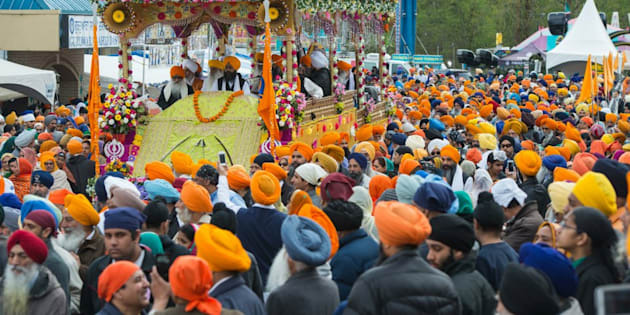 The day of Vaisakhi parade, the Sikh holy book Sri Guru Granth Sahib is taken on a decorated float along a parade route and Sikhs join the procession singing the praise of the Lord, the Gurus and the Sikh teachings. Along the route, other devotees offer food to people. 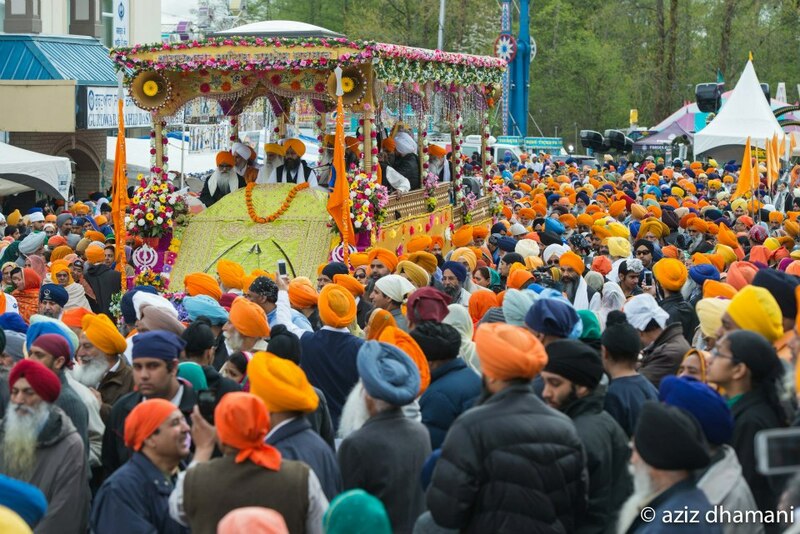 Vancouver region hosts two annual Vaisakhi parades: one in Vancouver and the other in Surrey. 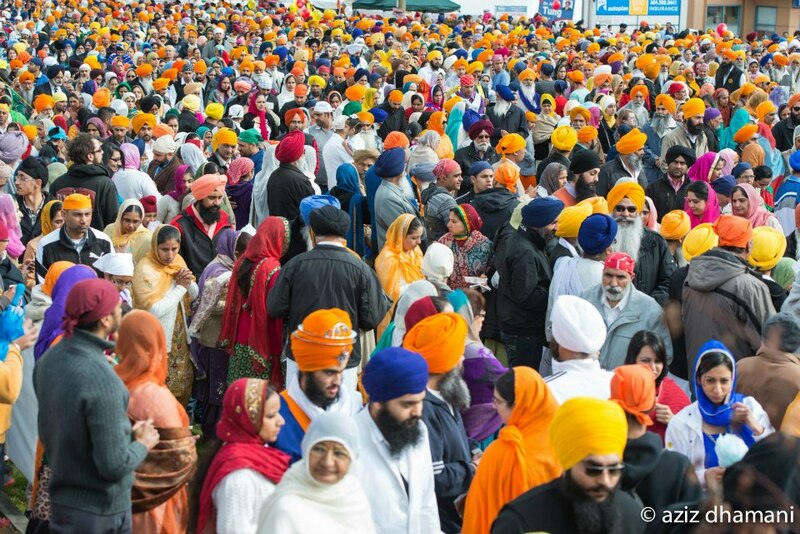 The Surrey one is growing in numbers each year; this year, on April 20, it is estimated more than 200,000 people attended the parade, the biggest outside of Punjab in India. For the Sikh diaspora, the Vaisakhi procession is a time for the Sikh community to come together and celebrate the foundation of Khalsa, and be a part of community living. The occasion is also used as a platform to bring awareness to social issues. Also, it inadvertently becomes a campaign ground for politicians of all stripes. Naam japo: To remember the One creator and meditate on His presence. Kirat karo: To work hard and earn through honest means. Vand chako: To do selfless service and share resources, including food. That is why, at a Sikh place of worship, called a gurdwara (literally means gateway to the guru) food is always served. It is called langar and yes, it is always free, just like it is done on Vaisakhi day celebrations. As I said earlier, technically it is free food, but it becomes imperative to explain the context, especially for media persons who are deconstructing the ever-growing parade for other Canadians. So call it free food, but please don't say it is the highlight of the parade. The highlight is the essence of Sikhism -- selfless service and sharing without giving importance to the price tag. The highlight are the people who spend countless hours preparing the food and making sure it is always served fresh, hot, and with devotion. To see more photos from this year's Surrey Vaisakhi parade, please visit talented local photographer Aziz Dhamani's Facebook page here.